17,500 SF of CLASS A Professional Office Space is now available in Meigs Plaza, just over the Shalimar Bridge. Both the 5, 500 SF standalone office and the 12,000 SF second story space are beautifully finished and move in ready. 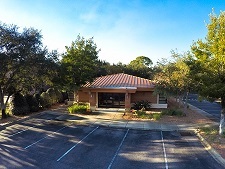 These offices come with plenty of parking and are conveniently located between Elgin AFB and Hurlburt Field. Contact the listing agent, Craig Barrett for a showing.